How You Can Buy Happiness with Money? Whoever said happiness can’t be bought with money obviously invested in the wrong places. Happiness can be bought with money provided we spend on experiences rather than on possessions. Money is necessarily a means to an end. And, that end should be happiness. If you embrace this truth, you will invest in things that bring us close to a blissful life. As they say, ‘Collect Moments, Not Things.’ Try to fit into this saying while spending money. There is at least one thing we all love. It may be travel, cooking, reading, painting or something else. Multiply your happiness by spending money on these things. If you love to explore new places, spend money on travel. If cooking is your stress-buster, take courses or buy fancy cooking appliances. Invest in a good bookcase or build a library if you love reading. Spend money on things that bring long-term gratification. Bring change in someone’s life with your money. Sponsor a child’s education, donate to a good charity or give money to those in medical need. Spending money on a noble cause enriches your soul. Fulfilling someone’s life is more rewarding than filling coffers! Things depreciate with time. Experiences render lasting memories. A getaway with friends will strengthen your relationship and create memories – invest in that, rather than a fancy couch that will wear out eventually. Even with your one-time purchases, make sure to create memories. Bought a new car, go for a long drive with family and friends. Purchased a top-of-the-line home theater system, celebrate it by inviting friends over. As a woman, I believe in retail therapy. Buying a dress is therapeutic. But buying a dress on discount adds to the whole experience. It’s like having a story behind every purchase. Getting a good deal, skillful negotiation and making use of every single penny bring unparalleled joy. 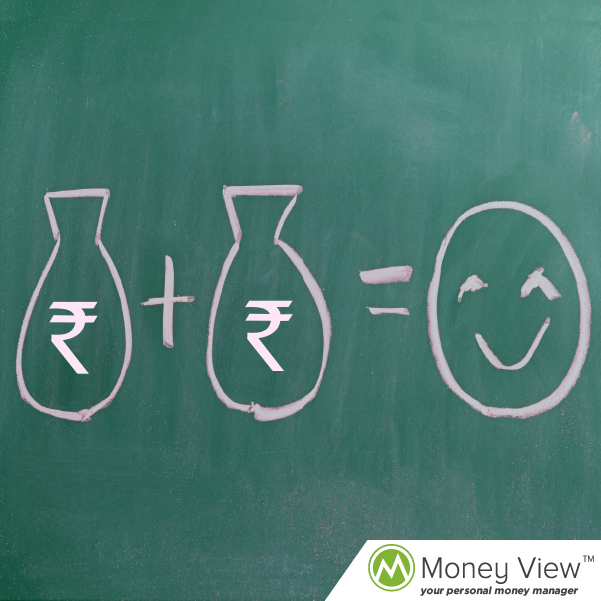 If hard earned money gives you pride, spending money wisely boost your confidence. Don’t squander a large sum of money on a single item. Make a list of things or activities you like. And, spend on each item on that list. Bring variety to your life. Rather than going for a dinner in an expensive restaurant, spend money on movie, food from a local eatery and go for ice cream with your family later. Make good use of your money by spending it on your loved ones. Be generous and plan a whole evening on your friend’s birthday – make their day special. Reward your nieces or nephews on their achievements. Such gestures add more meaning to relationships and money. It brings emotional rewards. Create a balance. Don’t be a sage and renounce the worldly pleasures. And don’t be addicted to them either. Live a simple life. Buy things that are essential. Live a decent and comfortable life. Draw a line to your spendings. A car transports us from one place to another. If you have 10 lacs, buy a decent car and spend the rest on experiences. Aim to gain satisfaction from each penny spent. And, derive happiness as your return!